The assortment offered by us is aptly personified the beauty of Laxmi Narayan. The unmatched collection is manufactured using premium quality marble and is well painted to provide unique and eye catching look. These statues are available in different sizes and styles and can retain their shine for a long time. 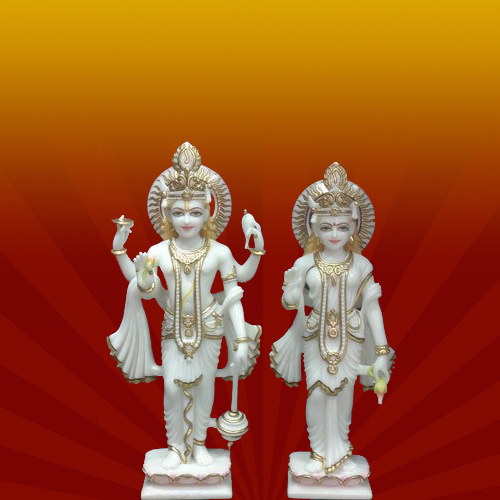 We offer exquisitely designed Laxmi Narayan Statue that is carved out from the finest grade marble and hi-end tools in strict compliance with international quality standards. 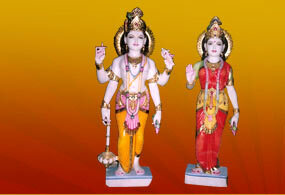 In the presented figure Lord and Goddess is depicted in standing position with all the ornaments and embellishments. The statue is well painted to offer a unique and eye catching look. 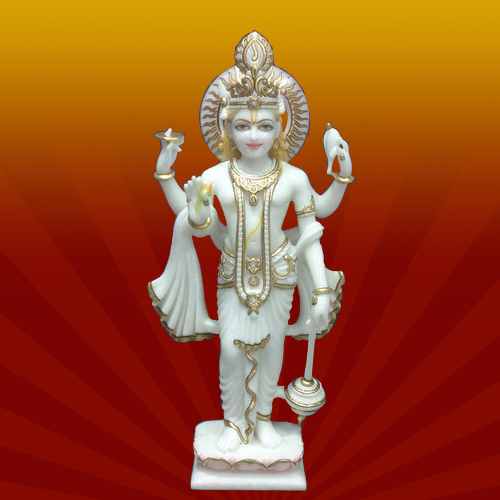 We provide ingeniously designed Marble Lakshmi Narayan Statue that are made from quality based white marbles. 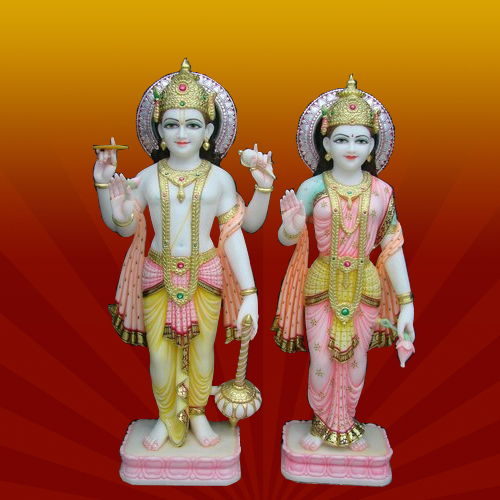 The statue is depicting the God and Goddess in an elegant and delicate look. The statue is painted in attractive colors with the gold finishing and are available in the market at different range and comprehensive rates. 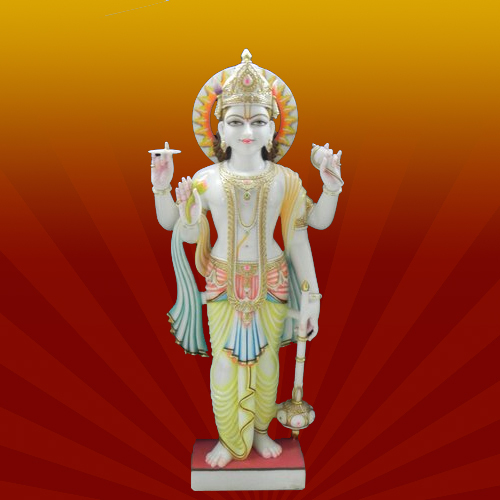 The Lord Laxmi Narayan Statue presents the true depiction of magnificence with an eye catching look. 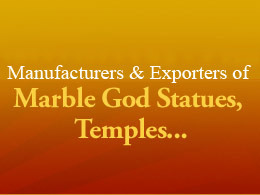 The statues are carved by skilled craftsmen from high quality marble and are adorned with ornaments and embellishments. We provide statues at competitive rates. 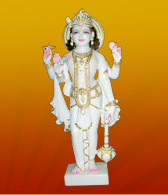 The Lord Vishnu Statue offered by us is made from white pristine marble that assure an attractive and shiny look. 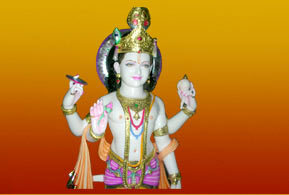 Lord Vishnu that are being engraved on the statue and painted with subtle colors. In order to meet the diverse need of our client, these statues are available in various designs, colors and patterns.